I love the British seaside. When most people would prefer spending the day on a white sand beach on the coast of some exotic island, I'm all about the English seafront. The pebbles, the smell of fish and chips, the cool wind in your hair. There is something quite melancholic about it, but it also holds a very peculiar beauty. Think about cities like Brighton, the little streets, the vintage shops, the blooming music scene. Or places a lot smaller, like Whitstable, a quirky seaside town, known for its oysters and brewery. It's got a small boardwalk, tiny streets filled with the cutest cottages and pubs decorated with a lot of marine artifacts. The perfect places for a quiet getaway. Then, there are seaside towns like Margate. An in-between place, that has known some great years, with painters like Turner going there for inspiration, then decayed as time went by. These days, it's slowly going back to what it used to be. 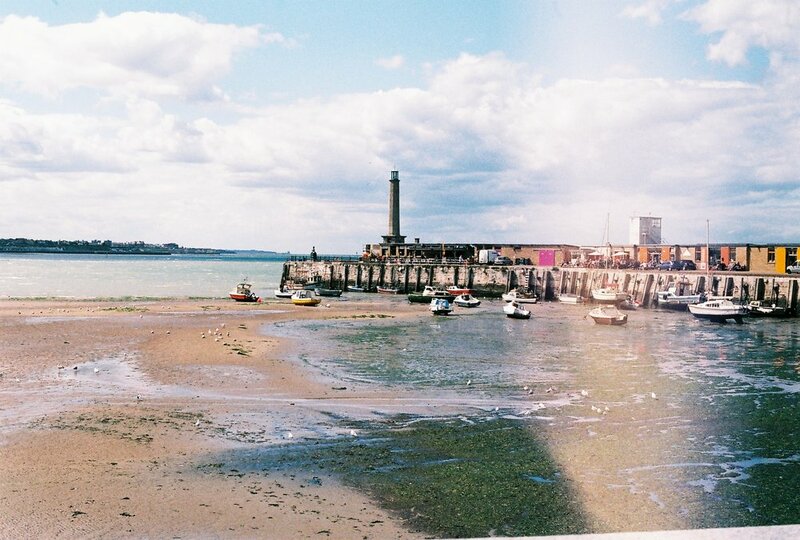 As you walk through the historic centre, go visit the Turner Contemporary or explore the pubs down the pier, you can see Margate changing under the influence of young creatives. You see them walking around with their portfolios, exploring the shops and sitting in cafes. Amongst them, you discover the town's newly-found energy. Your eyes wander around and discover quirky design shops, small art galleries and the cutest cafes. Yet, it still bares the marks of the past. If you take a wrong turn, you'll see abandoned pubs or discolored houses, and you'll just feel like going back to the warmth of the boardwalk until you reach this revival's emblem: Dreamland. Opened in the 1920's, this vintage amusement park has had its ups and downs, just like Margate, being nearly knocked down in 2003 and then reopened back in 2015 and again in 2017. But it looks like the plans to save this rare gem, nicknamed the Heartbeat of Margate, are finally on track. It's the perfect place for anyone who fancies some time out of the rat race. Families, couples, youngsters; everybody can go and walk around for free. Amongst the new attractions, the park's team has fully restored its oldest rides, including the famous Scenic Railway. A small, wooden rollercoaster, which gives the place this comforting, retro feeling. And if you take a walk around, you'll spot many blasts from the past, like abandoned menagerie cages which used to showcase lions and bears to the public back in the day. Rising from its ashes, building up on the past, Dreamland is what it says. A dream land, colorful and happy, which takes you back to the “good old days”, perfectly embodying the Margate Renaissance. So, if you ever find yourself in Kent, take the train down to the bottom of the British island. 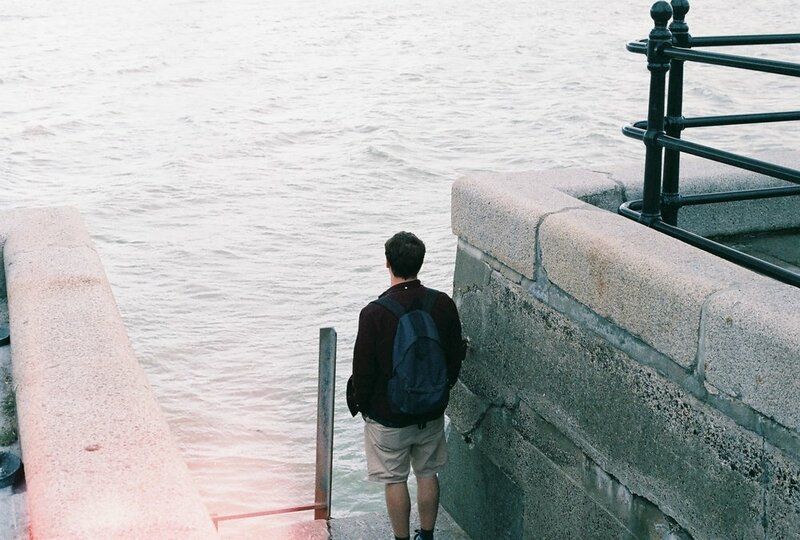 Go and enjoy a typical English day in Margate, in between clouds, rainbows and sun. Take in the sights, get lost in the Turner museum, explore the indoor markets and enjoy a pint on the pier as the tide slowly rises. But most of all, wait until the sun sets, once the tourists and beach-goers have gone back home, and take a walk down the seafront. Then, you'll see what I was talking about earlier: this peculiar beauty and peacefulness. The perfect ending to an afternoon away from the day-to-day madness.